- President Kim Il Sung was born in Mangyongdae, Pyongyang, on April 15, 1912, the eldest son of Kim Hyong Jik and Kang Pan Sok. - His father named him Song Ju, hoping that he would become the pillar of the country. - He spent his boyhood moving frequently to various areas of Korea and China with his parents, who were engaged in revolutionary activities. - He gained a good command of Chinese because he had learned it at an early age and studied at a Chinese school, thanks to his father’s farsightedness. This made a great contribution to his future anti-Japanese joint struggle with the Chinese people. - In March 1923, he made a journey of 250 miles from Badaogou in China to Mangyongdae, true to the lofty idea of his father that, in order to make revolution, he should know the actual situation in his own country well, and studied at Changdok School in Chilgol, the place of his mother’s maiden home. - In January 1925, he heard the news that his father had been arrested again by the Japanese police, and resolutely left Mangyongdae with a firm determination not to return until Korea had won its independence. - In June 1926, after his father Kim Hyong Jik’s death, he was admitted to Hwasong Uisuk School, a two-year military-political school belonging to an anti-Japanese nationalist organization in Huadian, China, where he organized the Down-with-Imperialism Union (DIU) and was acclaimed its leader on October 17 the same year. - He left Hwasong Uisuk School after half a year of study in order to carry on his revolutionary activities on a full-scale basis and moved the arena of his revolutionary activity to Jilin. - While studying at Jilin Yuwen Middle School, he reorganized the DIU into the Anti-Imperialist Youth League, a more mass-based organization, on August 27, 1927 and founded the Young Communist League of Korea on August 28. - He also formed various mass organizations and led the anti-Japanese struggle. - He clarified the path of the Korean revolution and the strategic and tactical problems for the fulfilment of its main task at Kalun Meeting held from June 30 to July 2, 1930. - He formed the first party organization―the Society for Rallying Comrades―on July 3 in Kalun and organized the Korean Revolutionary Army, a political and paramilitary organization to make preparations for an anti-Japanese armed struggle, in Guyushu, Yitong County, on July 6 the same year. - He founded the Anti-Japanese People’s Guerrilla Army (later reorganized into the Korean People’s Revolutionary Army), a standing revolutionary army, on April 25, 1932, led the anti-Japanese armed struggle and liberated the country on August 15, 1945. - He formed the Central Organizing Committee of the Communist Party of North Korea and proclaimed the founding of the Party on October 10, 1945. - He established the Provisional People’s Committee of North Korea, was elected Chairman on February 8, 1946 and made public the 20-Point Platform. - He founded the Workers’ Party of North Korea by merging the Communist Party of North Korea with the New Democratic Party of Korea in August 1946. - He led the drive to implement the tasks of the anti-imperialist, anti-feudal democratic revolution successfully in a short period of time. - He organized the first democratic election and established the People’s Assembly of North Korea, where he was elected Chairman of the People’s Committee of North Korea, a new central power organ, and set forth the tasks for the period of transition to socialism. - He developed the Korean People’s Revolutionary Army into the Korean People’s Army, a regular revolutionary armed force, in February 1948. - On September 9, 1948, he founded the DPRK, a unified central government of the Korean people, and was elected Premier of the Government, head of state, by the unanimous will of the entire Korean nation. - He called the joint plenary meeting of the central committees of the Workers’ Parties of North and South Korea on June 30, 1949, where he was elected Chairman of the Central Committee of the Workers’ Party of Korea. - From June 25, 1950 to July 27, 1953, he led the Fatherland Liberation War to a brilliant victory, safeguarding national sovereignty and starting US imperialism on its decline. - On August 5, 1953, he put forward the basic line of post-war economic construction at the 6th Plenary Meeting of the Party Central Committee and led the struggle for its implementation. - He pushed forward socialist revolution aimed at transforming production relations along socialist lines in urban and rural areas, in parallel with post-war economic construction. - He was elected again Chairman of the Central Committee of the Workers’ Party of Korea at the 3rd and 4th Congresses of the WPK held in April 1956 and September 1961. - He advanced a new idea of uninterrupted revolution and defined the three revolutions—ideological, technical and cultural—as its main contents. - He called the 5th Plenary Meeting of the 4th Party Central Committee in December 1962 and set forth a new strategic policy of simultaneously carrying on economic construction and defence building in order to cope with the increasingly blatant moves of the US imperialists to unleash another war. - He was elected General Secretary of the Central Committee of the Workers’ Party of Korea at the 14th Plenary Meeting of the 4th Party Central Committee which was held in October 1966. - He successfully led the drive to implement the historic task of industrialization from 1957 to 1970. 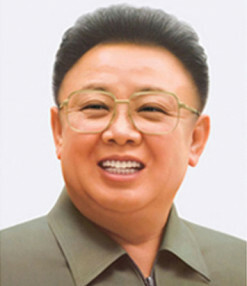 - He was elected President of the DPRK according to the new Socialist Constitution of the DPRK adopted at the first session of the 5th Supreme People’s Assembly in December 1972. - He was re-elected General Secretary of the Central Committee of the Workers’ Party of Korea at the 5th and 6th Congresses of the WPK held in 1970 and 1980. 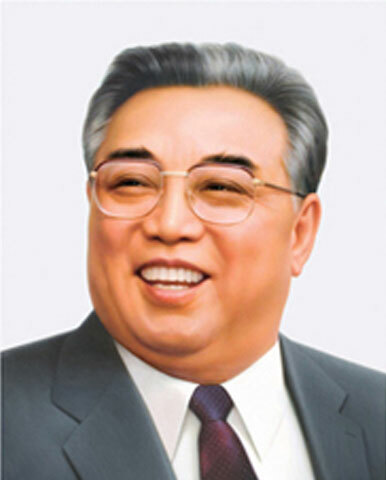 - He defined the modelling of the whole society on the Juche idea as the general task of the Korean revolution. - He set forth the three principles of national reunification in May 1972, the plan for founding a Democratic Federal Republic of Koryo in October 1980 and the 10-Point Programme of the Great Unity of the Whole Nation for the Reunification of the Country in April 1993. - He found a brilliant solution to the issue of successor in order to safeguard socialism and accomplish the revolutionary cause of Juche. - In June 1994, he met former US President Jimmy Carter in Pyongyang and created favourable conditions for opening DPRK-US negotiations about the nuclear issue and a north-south summit. - He worked hard for the Party and the revolution, for the country and the people, for global independence till the last moment of his life and died of sudden illness in his office at two o’clock on the morning of July 8, 1994. - He lived up to the motto “The people are my God” all his life. 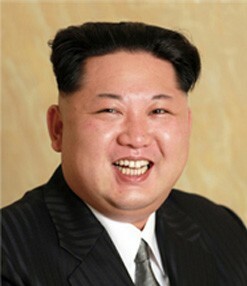 - He was awarded the titles of Generalissimo of the DPRK, DPRK Hero (three times), and Labour Hero. - He met over 70 000 foreign guests including heads of state and government and party leaders, and paid visits to 16 countries on 106 occasions. - He received 363 decorations, medals and honorary titles from foreign countries and international organizations. - His statue was erected in China, the International Kim Il Sung Prize was instituted and is awarded, and more than 480 streets, institutions and organizations in over 100 countries were named after him. Mangyongdae is the place where President KIM IL SUNG, founder of socialist Korea and the Juche idea, was born on April 15, 1912. Situated at the confluence of the Taedong River, flowing across Pyongyang, the capital of the Democratic People’s Republic of Korea, and its tributary, the Sunhwa, Mangyongdae is famed for its beautiful scenery from olden times. The area is surrounded by several hills, the highest one named Mangyong (Ten thousand views) Hill because one can enjoy a bird’s-eye view of the exquisite landscape, and the village at its foot is called Mangyongdae. In Mangyongdae, the President’s native home, a low-roofed and straw-thatched one, is preserved in its original state. Visitors are surprised to see the house, too modest and humble as compared with the President’s worldwide fame and great personality. Originally, it had been a house for the keeper of a hill and grave for a landlord in Pyongyang. As the family was too poor to afford even such a house, the President’s great-grandfather became the landlord’s grave keeper and moved there. At this house, humble as it was, lived ardent patriots who devoted their all to the country and nation through generations. Kim Ung U, great-grandfather of KIM IL SUNG, took the lead in sinking General Sherman and repelling Shenandoah, US aggressor ships which intruded into Korea in the mid-19th century. The President’s grandparents supported with all their might the revolutionary activities of their sons and grandsons though they eked out a merger living as tenant peasants. The house is also the native home of his father Kim Hyong Jik, an outstanding leader of the anti-Japanese national liberation movement in Korea, his uncle Kim Hyong Gwon, and younger brother Kim Chol Ju, who sacrificed themselves for the revolutionary struggle for the country’s independence. 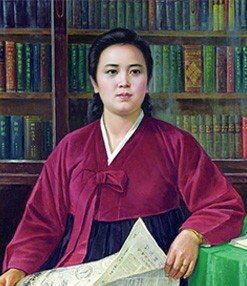 His mother Kang Pan Sok, an outstanding leader of the women’s movement in Korea, lived at the house for a while. In the house are preserved a desk and an ink stone used by KIM IL SUNG in his school days, chests of drawers, brazier, tableware, an A-frame carrier, plow and other farm implements, a loom, a spinning wheel and a rush mat. There is also a misshapen water jar which leaves a strong impression on visitors. The President’s family was so poor in those days that they were even unable to buy a perfectly shaped water jar indispensable to the livelihood of the Korean people. Though they lived in poverty, the grandparents and parents of the President educated him to inherit the patriotic tradition of the Mangyongdae family, who were prepared to lay down their lives without hesitation for the country and nation. The swinging site and the spring near the President’s birthplace tell the story of those days. The wrestling ground, the study site and warship rock (on which he played at soldiers) where KIM IL SUNG fostered hatred for Japanese imperialism and the spirit of patriotism are still preserved. The Great Leader President KIM IL SUNG left home, following his father who had embarked on the road of national independence. In March 1923, when he was 11 years old, he made a journey on foot from the northeastern part of China to Mangyongdae to learn better the realyties of his native country, traveling 250 km all alone. In January 1925, while studying in the homeland, he was told that his father had been arrested by the Japanese police again, and left Mangyongdae, resolutely pledging that he would never return to the motherland before he won back the country. He came back to Mangyongdae after 20 years. He had organized and led the arduous armed struggle to defeat the Japanese imperialist aggressors, and liberated the country (August 15, 1945). After his triumphal return, he had first visited the Kangson Steel Plant (now the Chollima Steel Complex) for the building of a new Korea, although the road leading to the plant also led to his old home. Only after he had founded the Workers’ Party of Korea (October 10, 1945), the guiding force of Korean society, and extended greetings of triumphal return to people at the historic Pyongyang mass rally (October 14, 1945), he entered the brushwood gate of his native home. His grandmother rushed into the courtyard barefoot and hugged him, saying why he had returned home alone, leaving behind his father and mother. Many members of his family had left this house to liberate the country but KIM IL SUNG was the only one who returned. 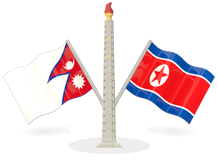 Now Mangyongdae is the holy land of revolution for the Korean people and the world progressives who adhere to the Juche idea and aspire after independence. Koreans at home and abroad and foreigners visit the place to recollect the great career of the President and plant beautiful flowers and trees. More than 140 million people have visited Mangyongdae for the past 60-odd years.